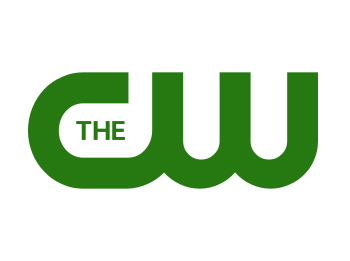 The CW is reworking their premiere dates for the Fall 2013 season. The Originals now premieres on October 3rd, following the return of The Vampire Diaries. Reign will kick off on October 17th. “Reign” Series Premiere Moves to Thursday, October 17, 9:00-10:00 p.m.
July 29, 2013 (Burbank, CA) – The CW Network has shifted some premiere dates of its 2013 fall season schedule, allowing for additional exposure and time to launch. The series premiere of THE ORIGINALS will now debut on a special night and time on Thursday, October 3, 9:00-10:00 p.m. ET, the network announced today. THE ORIGINALS series premiere will follow the season premiere of THE VAMPIRE DIARIES, which is bowing one week earlier than previously announced, Thursday, October 3, 8:00-9:00 p.m. ET, giving THE ORIGINALS the additional exposure of premiering behind the network’s highest-rated series. The following week, THE ORIGINALS will then move to its regularly scheduled night and time Tuesday, October 8, 8:00-9:00 p.m. ET, followed by the 9th season premiere of SUPERNATURAL, 9:00-10:00 P.M. ET, a week earlier than previously announced. An encore of THE ORIGINALS second episode will air Thursday, October 10, 9:00-10:00 p.m. ET, again following an original episode of THE VAMPIRE DIARIES. The CW will launch the highly anticipated premiere of its Mary, Queen of Scots drama, REIGN,on Thursday, October 17, 9:00-10:00 p.m. ET, a week later than previously announced, allowing for even more time and opportunity to promote the series. What do you think? Have you figured out which CW shows you’ll be watching this fall? More about: America's Next Top Model, America's Next Top Model: canceled or renewed?, Arrow, Arrow: canceled or renewed?, Beauty and the Beast (2012), Beauty and the Beast (2012): canceled or renewed?, Hart of Dixie, Hart of Dixie: canceled or renewed?, Reign, Reign: canceled or renewed?, Supernatural, Supernatural: canceled or renewed?, The Carrie Diaries, The Carrie Diaries: canceled or renewed?, The Originals, The Originals: canceled or renewed?, The Tomorrow People, The Tomorrow People: canceled or renewed?, The Vampire Diaries, The Vampire Diaries: canceled or renewed?